Nandu, Noel and Punarnavi Bhupalam as the lead cast, ‘Enduko Emo’ is being made under Maheswara Creations banner. Malathi Vaddineni is producing the film with Koti Vaddineni as director. 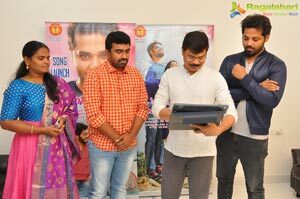 Meanwhile, director Boyapati Srinu has launched the first song from the film on Tuesday i.e. on February 13.